Ottawa 67’s of the Ontario Hockey League. Photo by Terry Wilson / OHL Images. 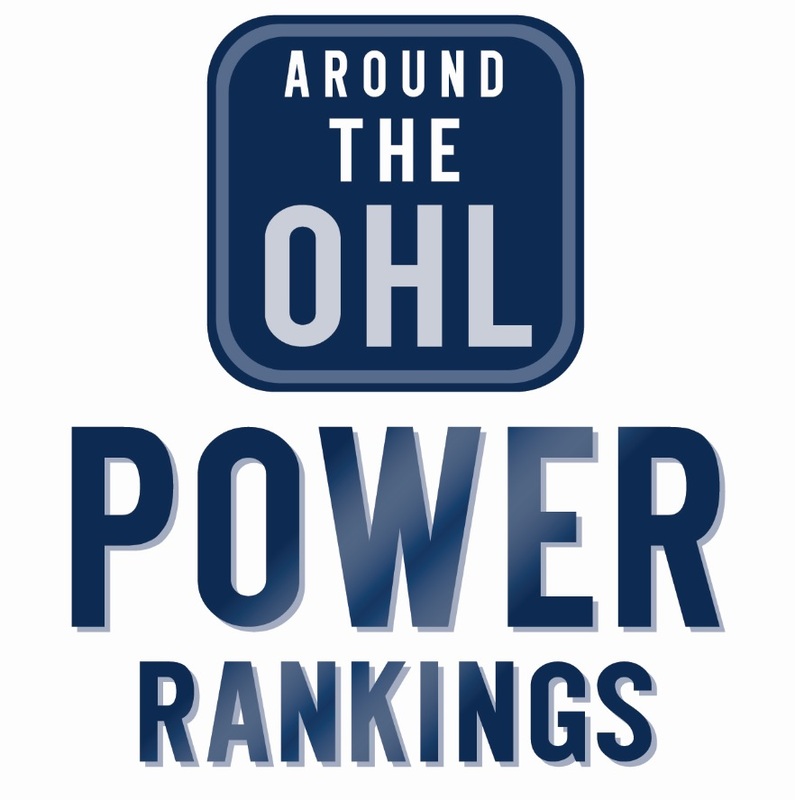 Ottawa, London, Niagara, and Sudbury all enjoyed three-win weekends, while Sault Ste. Marie extended their hot streak with a pair of victories. On the flip side, Oshawa, Peterborough, Windsor, and Kingston went winless. It was a particularly tough weekend for the Fronts, who scored just once in three games. Ottawa’s Kyle Maksimovich played in his 300th career OHL game. The London Knights won all three of their games on the weekend, due in large part to the play of Liam Foudy. The Columbus Blue Jackets prospect scored four goals and added four assists, finishing the weekend with a plus-8 rating. Foudy has now scored in nine straight games for London, with 10 goals and 18 points during that stretch. It’s the second longest goal scoring streak of Foudy’s OHL career, after scoring in seven straight last February. A first round pick (18th overall) by Columbus in the 2018 NHL draft, Foudy now has 25 goals and 49 points in 40 games this season. Ottawa – A three win weekend for the 67’s, including a pair of victories over Oshawa who were riding a five game wining streak. Niagara – The IceDogs have won six straight, including three straight road wins on the weekend. That helps pad their lead atop the Central Division standings. Kingston – Not only did Kingston lose all three of their games, but they managed to score just a single goal. That’s been a trend as of late, the Frontenacs have just five goals in their last seven games. Windsor – A winless weekend in Windsor saw the Spitfires extend their losing streak to five games, sitting in the final playoff spot in the Western Conference. Tags: London Knights, Niagara IceDogs, Ottawa 67's. Bookmark the permalink.